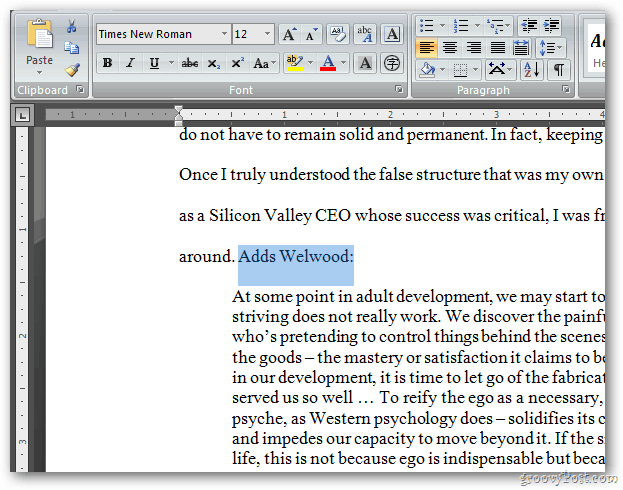 It’s easy to make text in your Word documents hot — that is, into hyperlinks readers click on to get to a site online. I do it with the key combination [CTRL][K]. Here’s how. 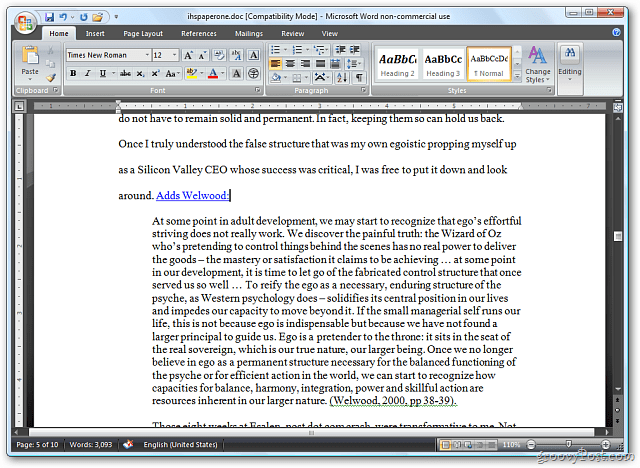 First, open your document and select the text you want to turn into a link. Then hit the key combo [CTRL][K]. This will display the following popup. Now just type in the URL you want the text to link to. Here I’m typing in the address for groovyPost. Click OK.
You’ll see the text you selected is now a hotlink. Groovy. 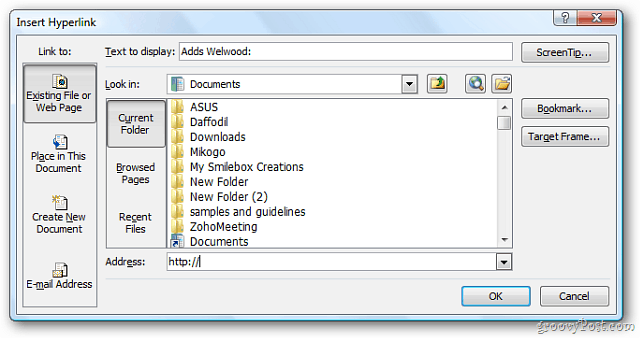 Place the mouse on a word and Right click and select Hyperlink.